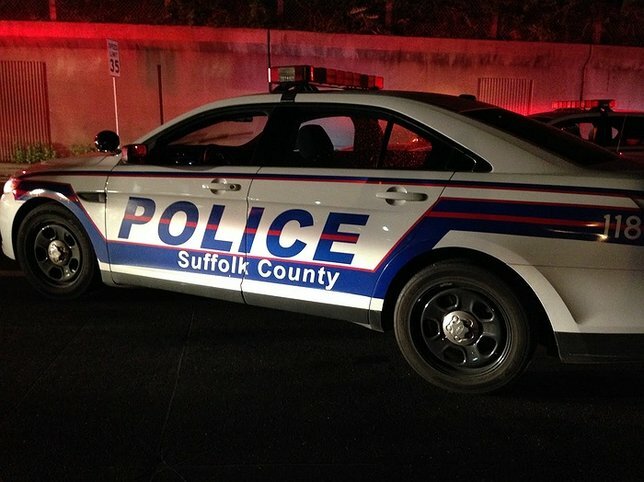 Suffolk County Police Homicide Squad detectives are investigating the circumstances surrounding the death of a man in Huntington Station early this morning. The man found dead has been identified as William Sarcenolima, 33, of Huntington Station. Anyone with information on this incident is asked to call 631-852-6392 or 800-220-TIPS. Huntington Station, NY - May 22, 2016 - Suffolk County Police Homicide Squad detectives are investigating the circumstances surrounding the death of a man in Huntington Station early this morning. Second Precinct Police officers responded to West Hills Road between 7th Avenue and 8th Avenue after a man was found partially in the roadway at approximately 4 a.m. The man, William Sarcenolima, 33, of Huntington Station, was transported by Huntington Community First Aid Squad to Huntington Hospital where he was pronounced dead. The body was transported to the Office of the Suffolk County Medical Examiner where an autopsy will be performed to determine the cause of death. Detectives are investigating the possibility that Sarcenolima was a victim of violence. Anyone with information on the incident is asked to call Homicide Squad detectives at 631-852-6392 or call anonymously to Crime Stoppers at 1-800-220-TIPS. Subject: LongIsland.com - Your Name sent you Article details of "Man Found Dead in Huntington Station"